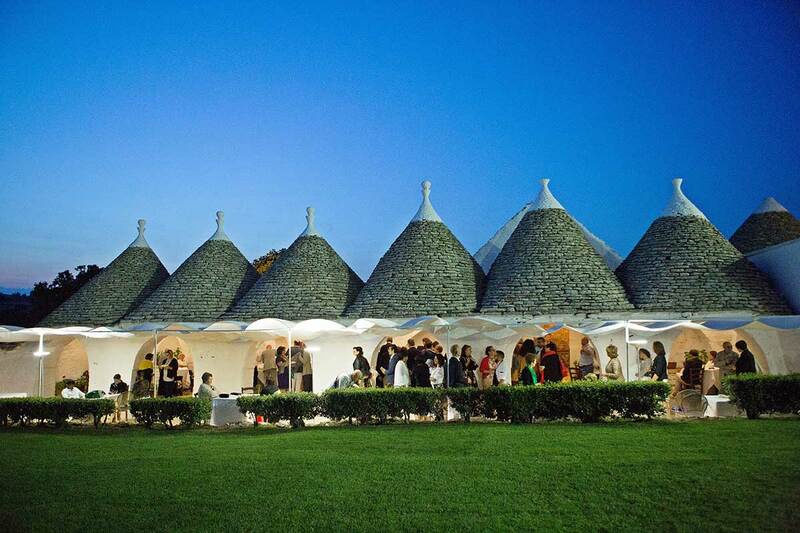 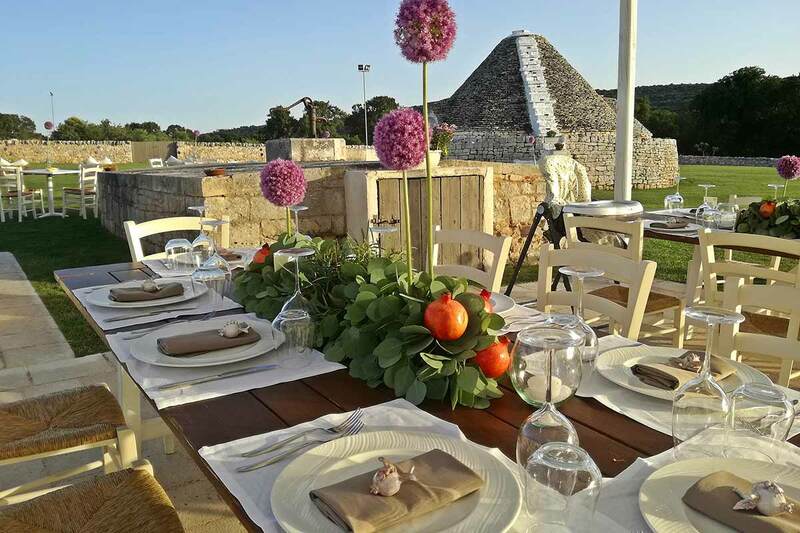 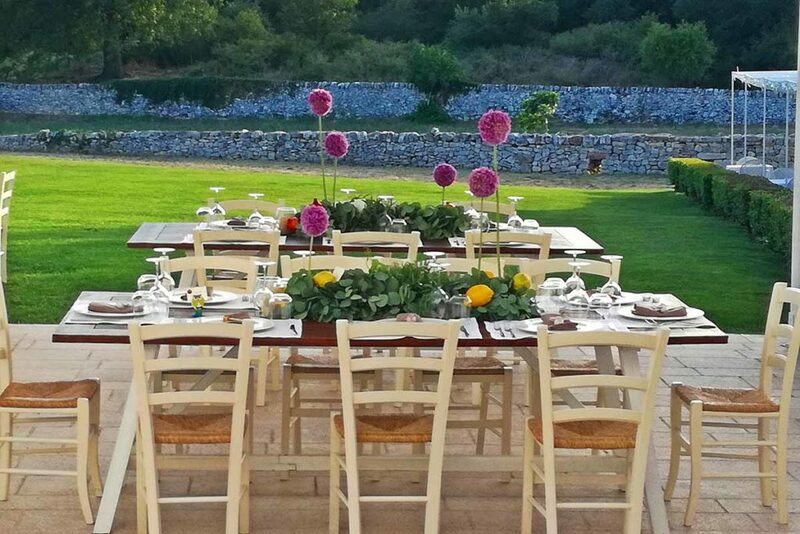 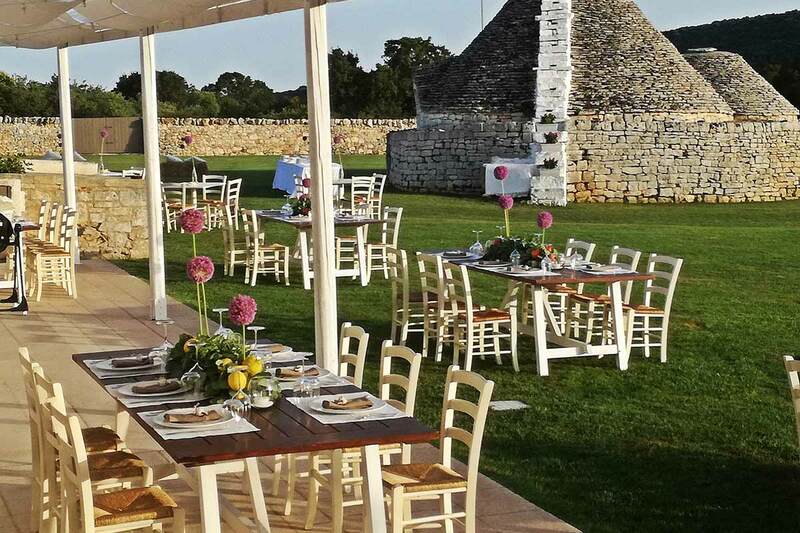 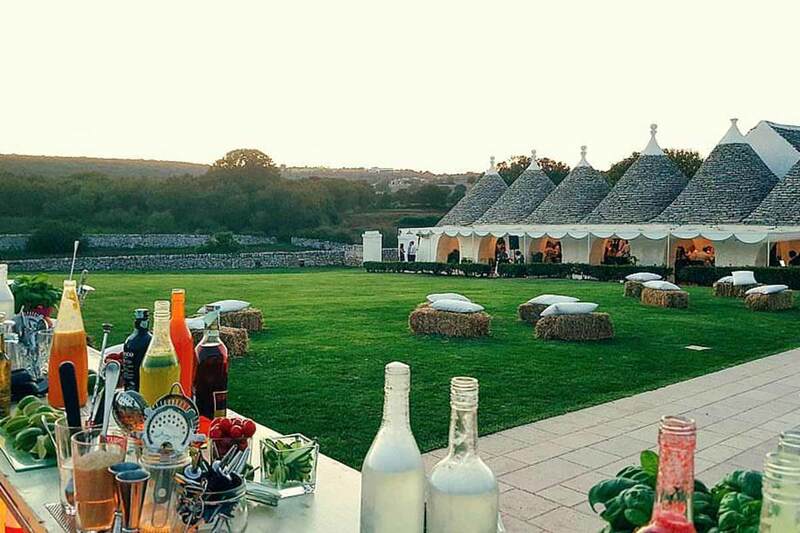 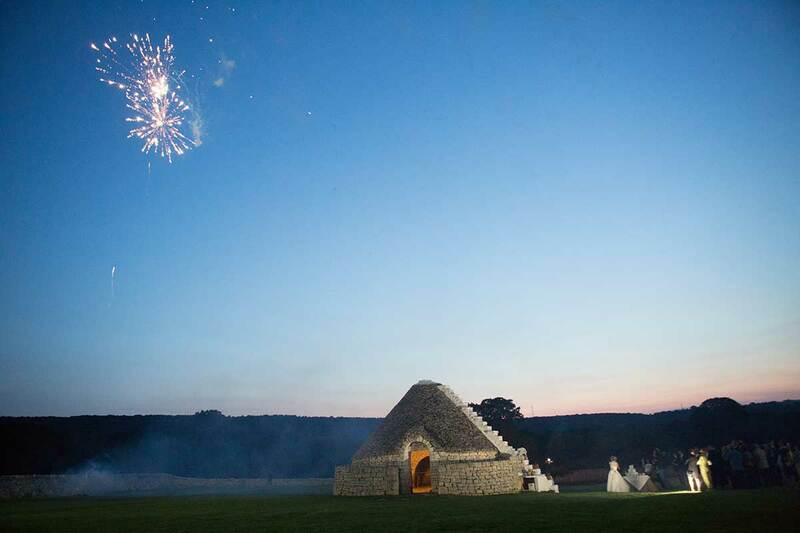 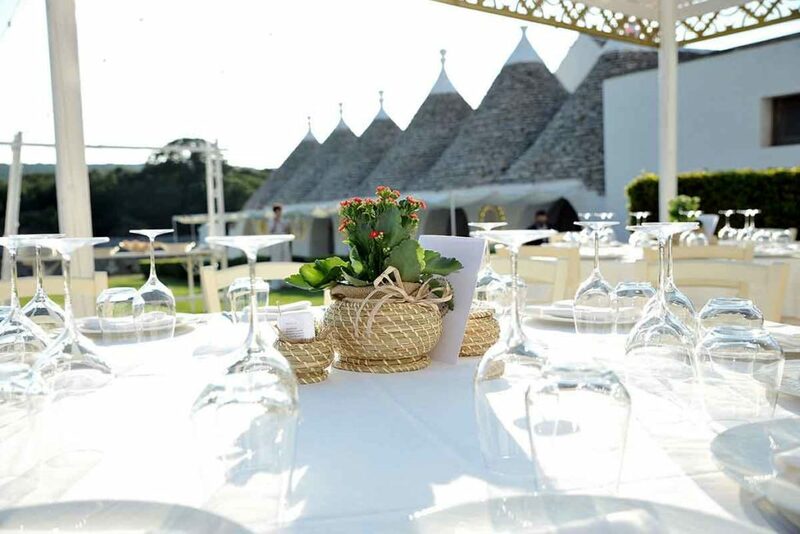 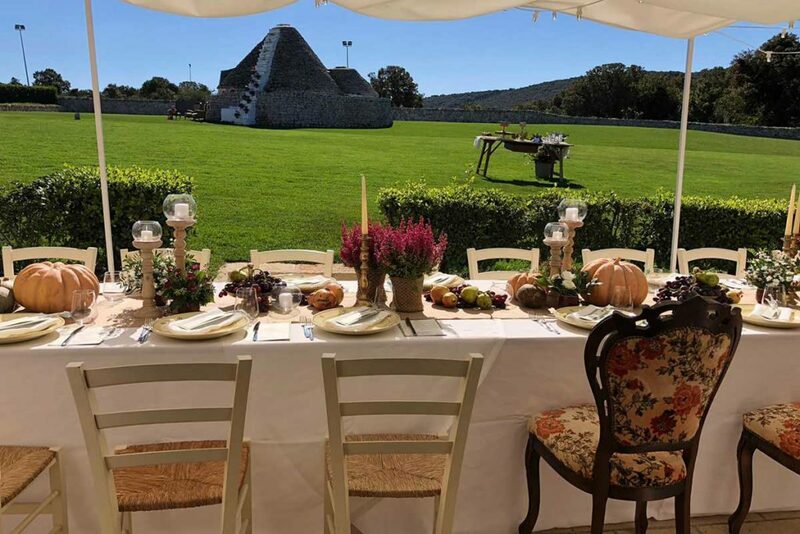 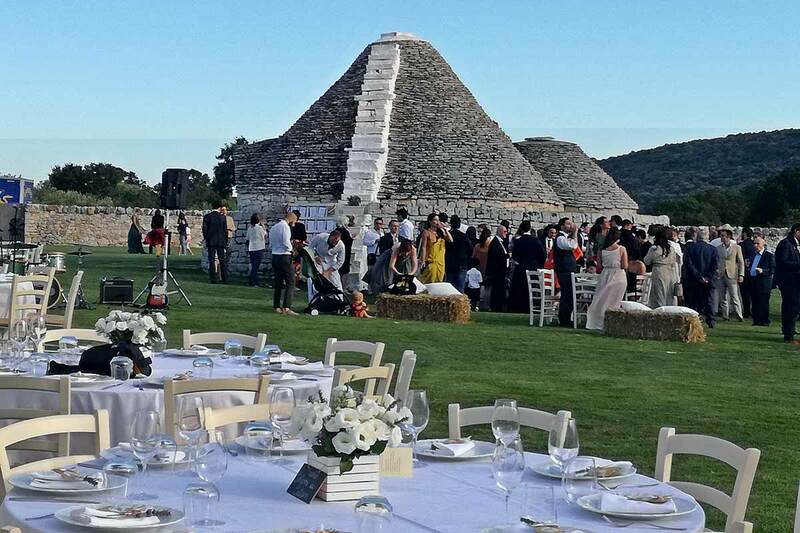 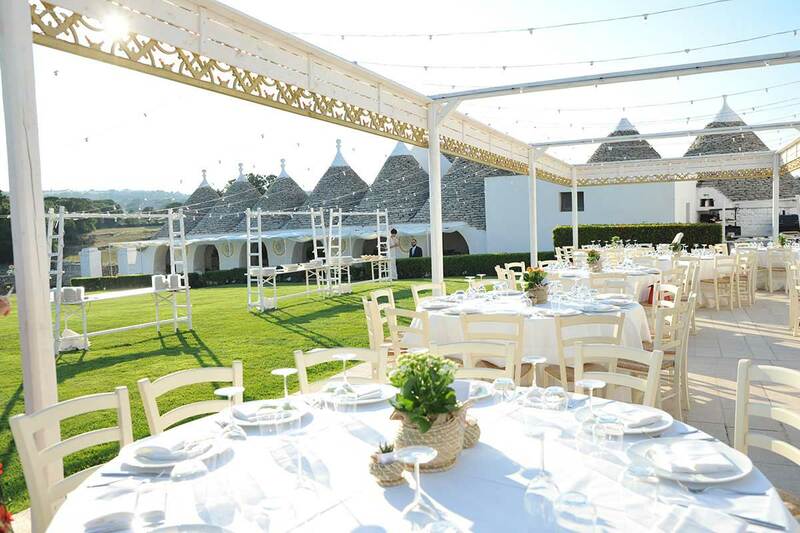 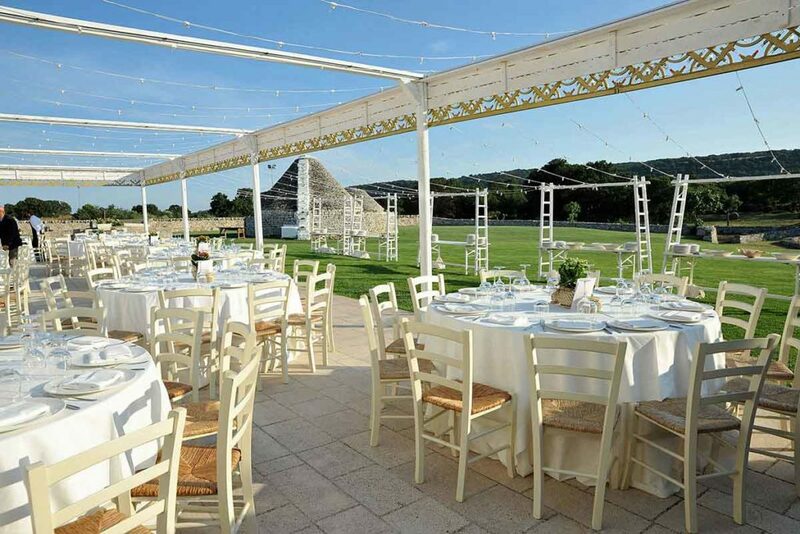 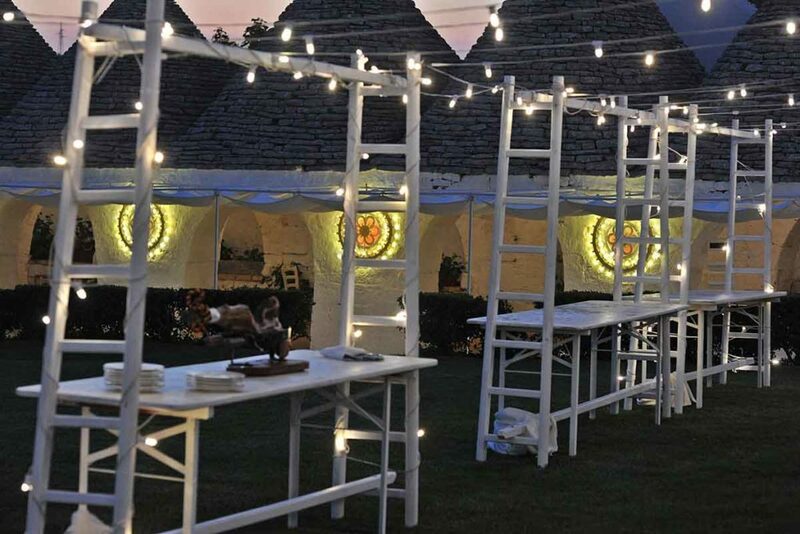 A country chic wedding among trulli and nature. 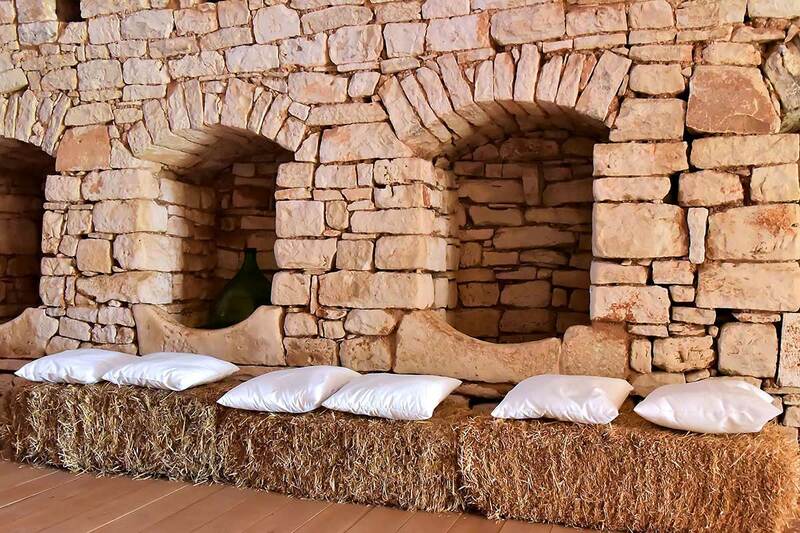 Masseria Papaperta is the ideal location for couples wishing to celebrate their wedding in an authentic and natural place. 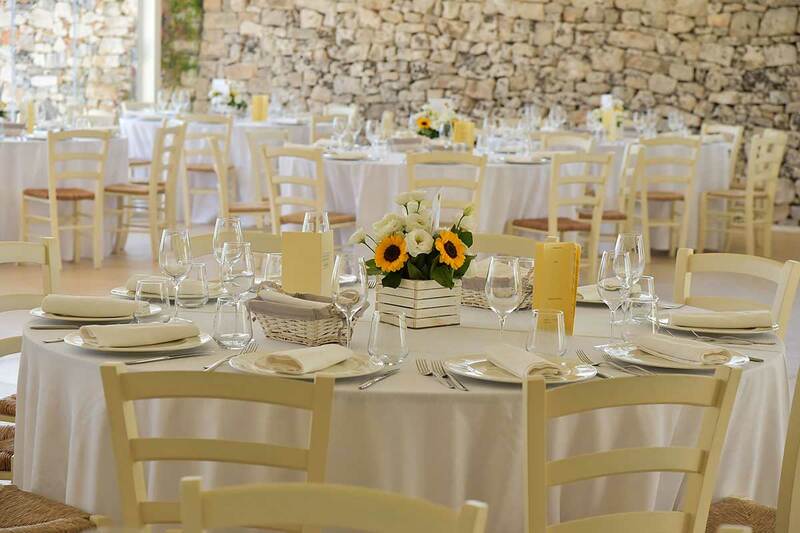 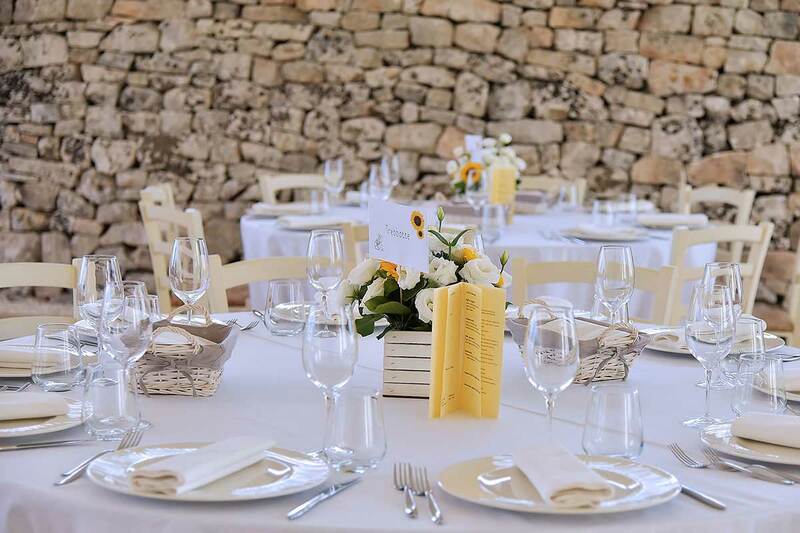 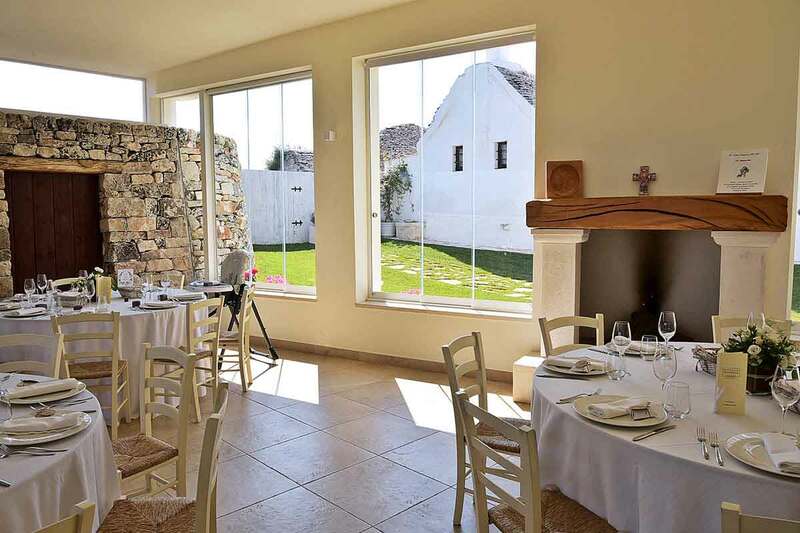 All the charm of a centuries-old Apulian masseria, the elegance of a traditional cuisine revisited with style and an always attentive and cared service, will be at your disposal to make your wedding day unforgettable. 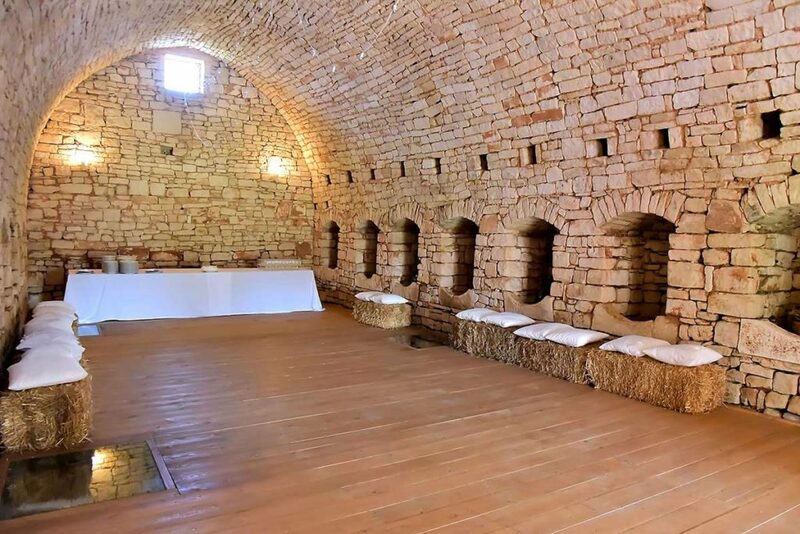 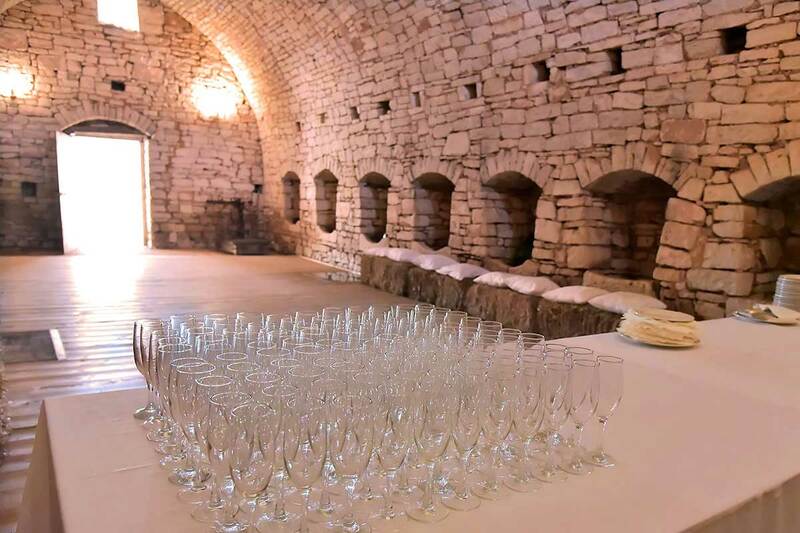 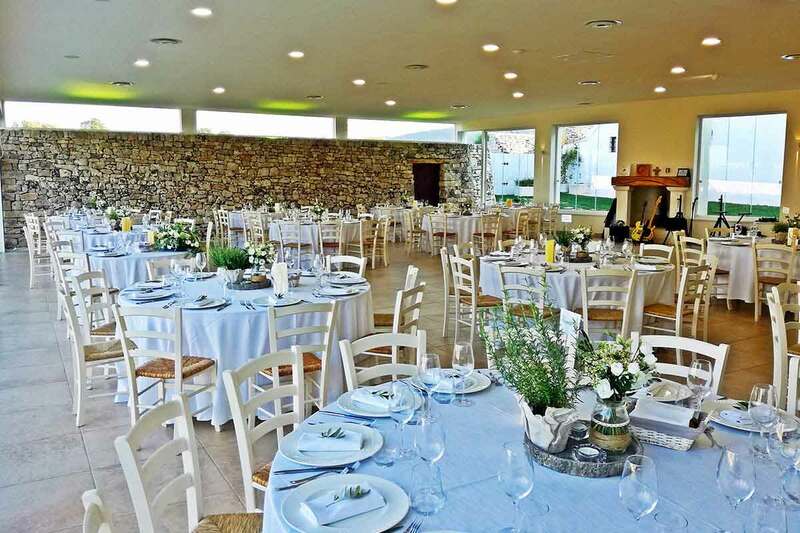 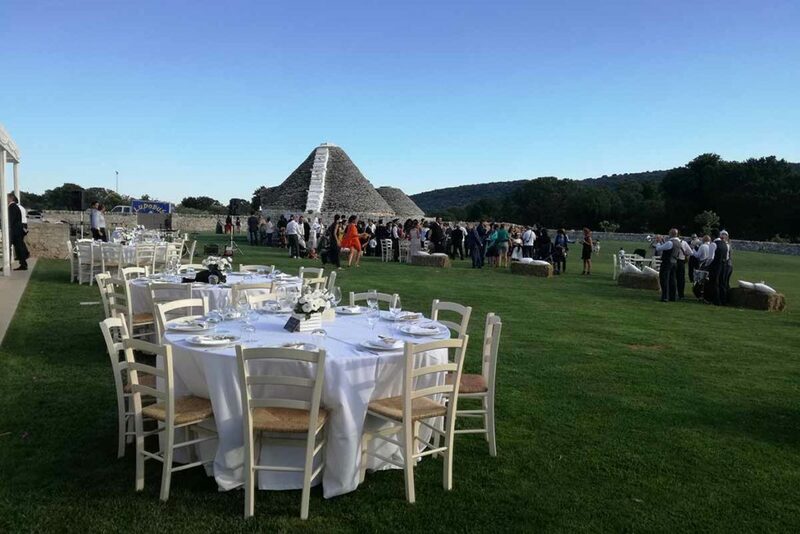 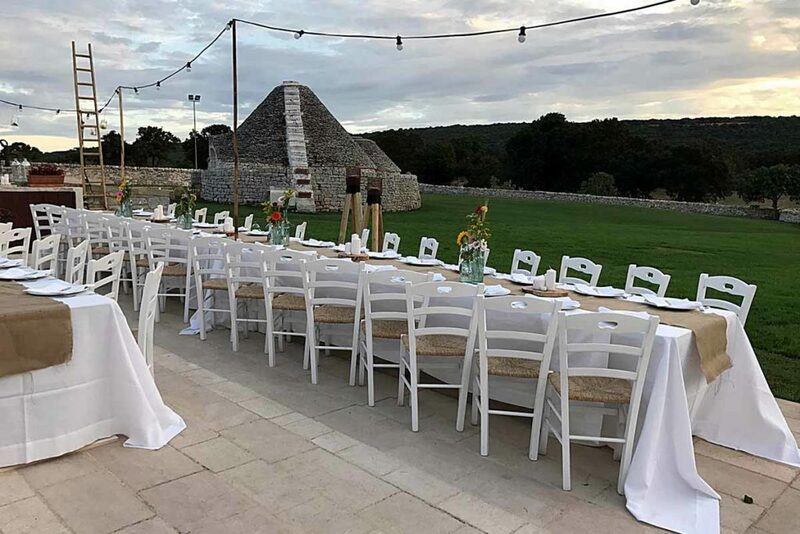 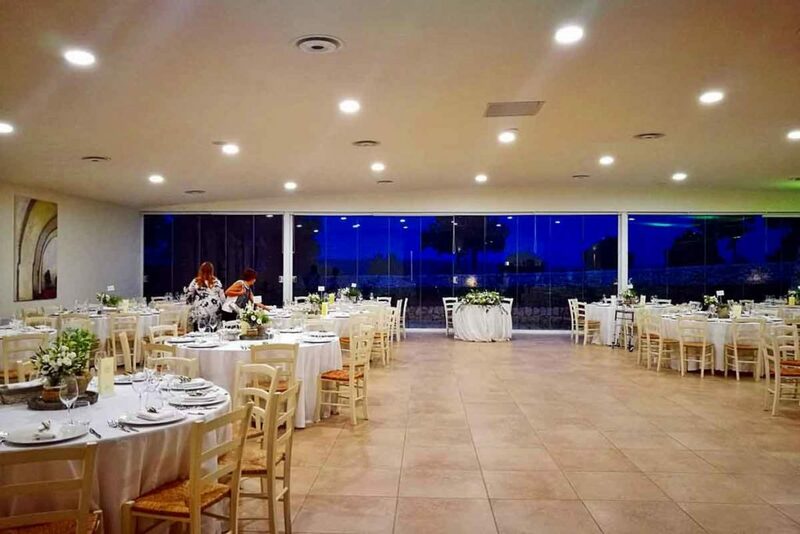 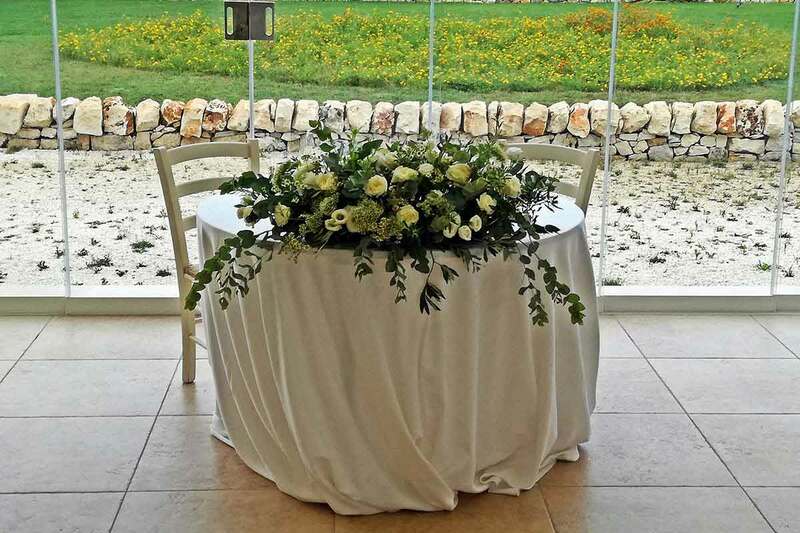 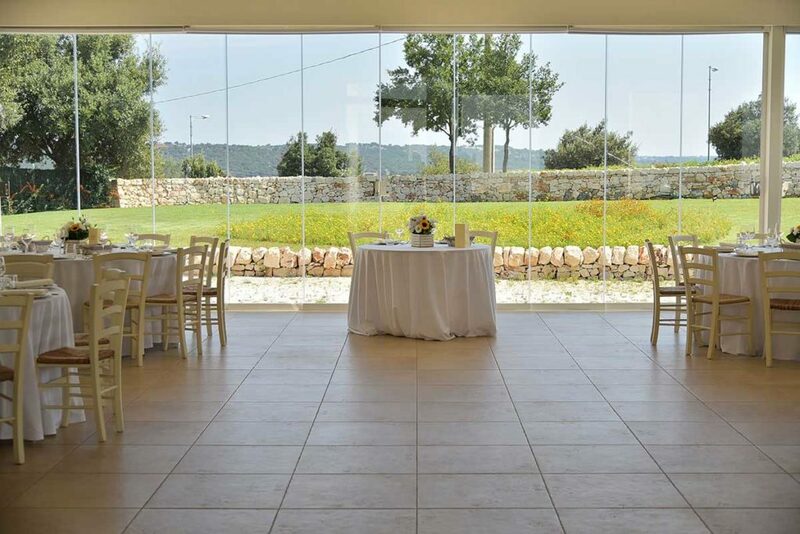 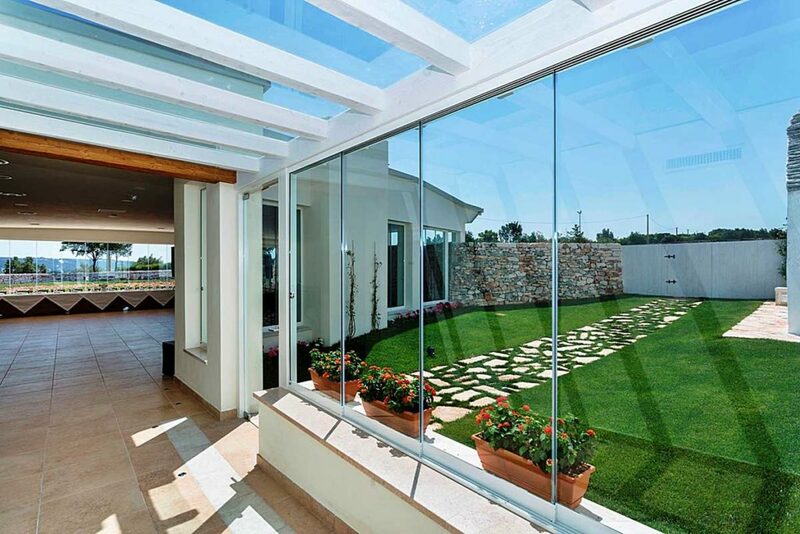 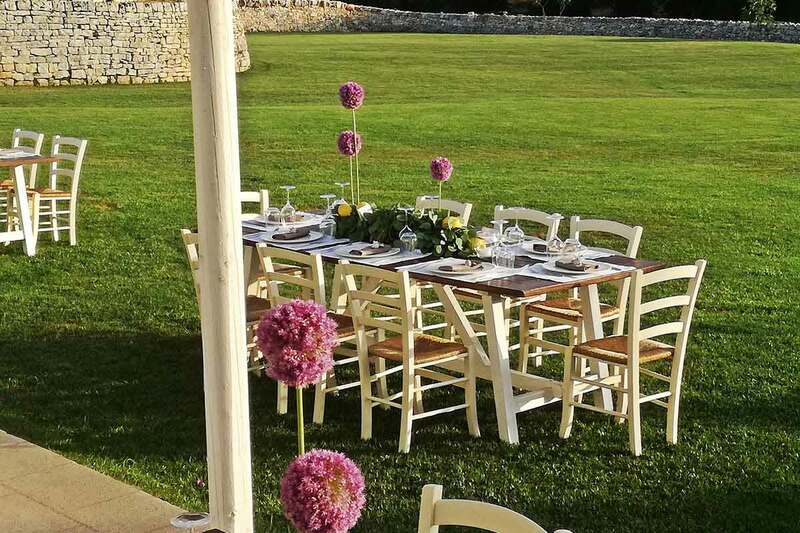 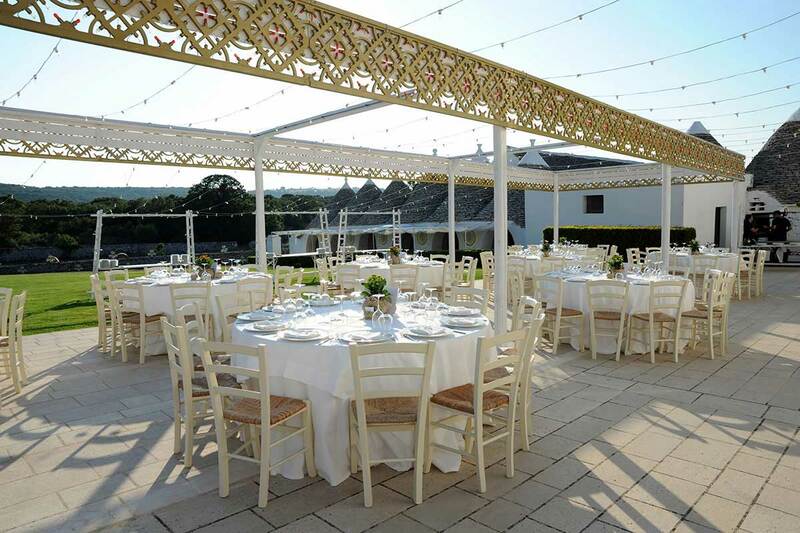 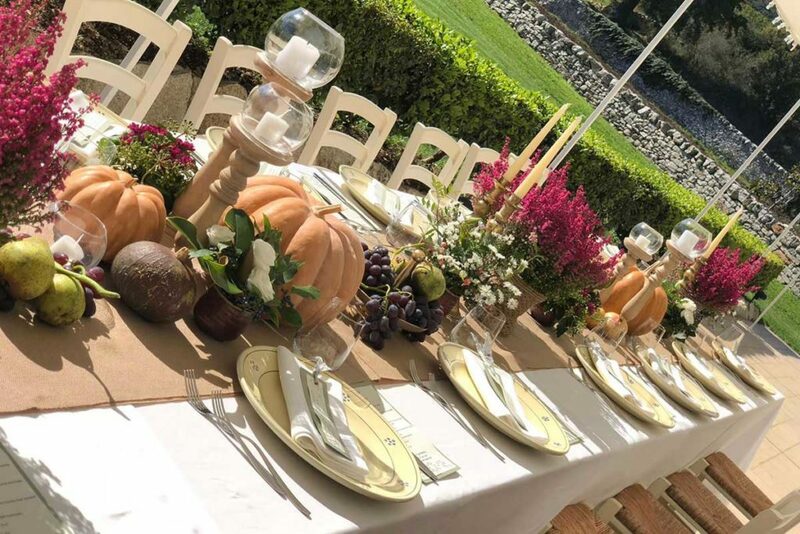 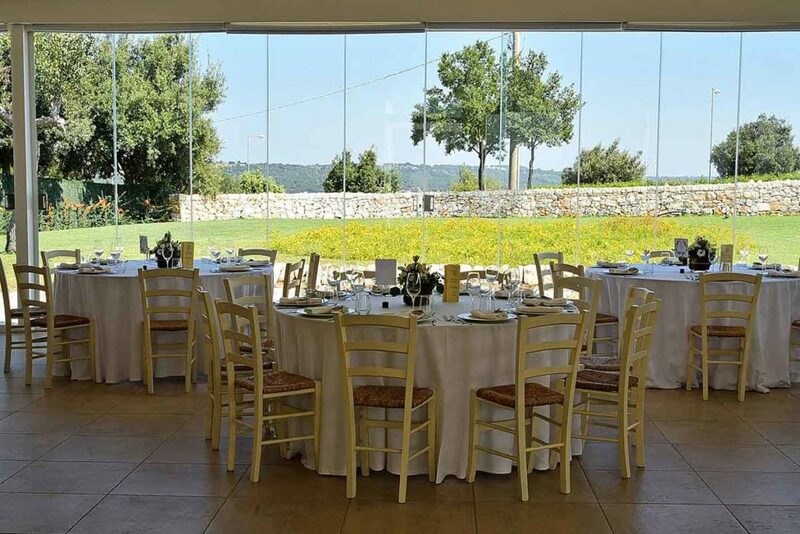 You can organize the reception in the large indoor room recently renovated or choose an outdoor outfitting in close contact with nature and the green surrounding the farmhouse. 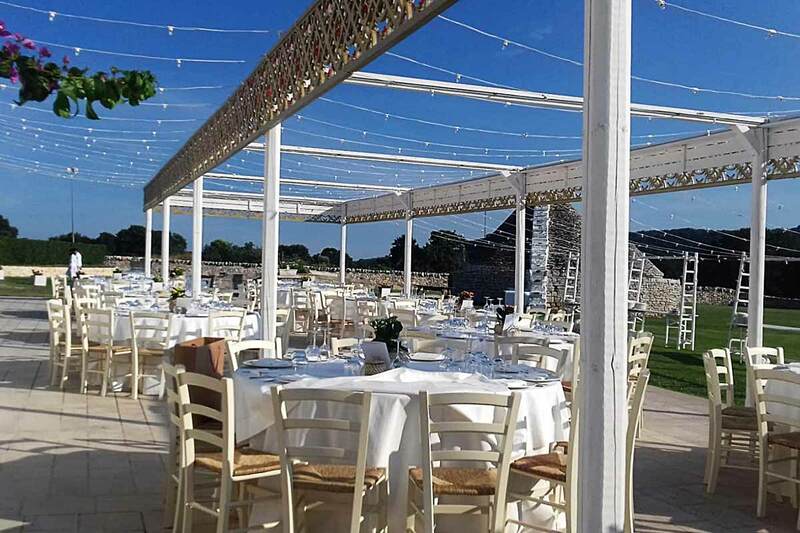 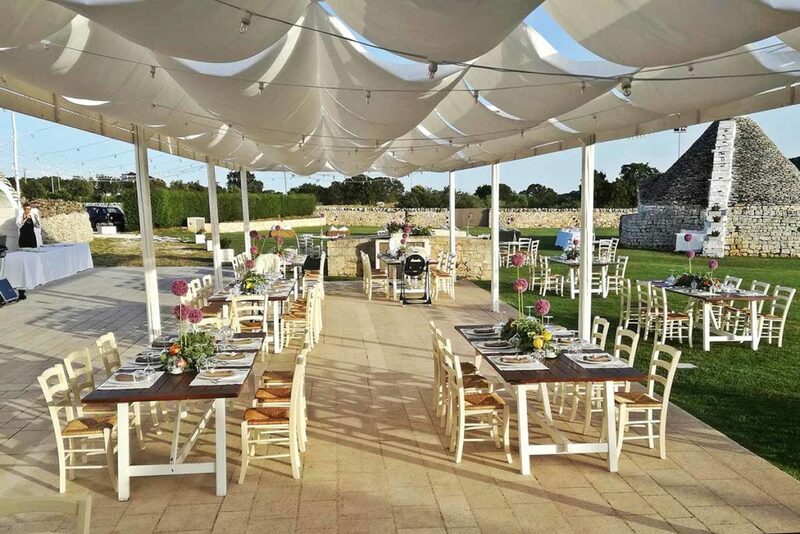 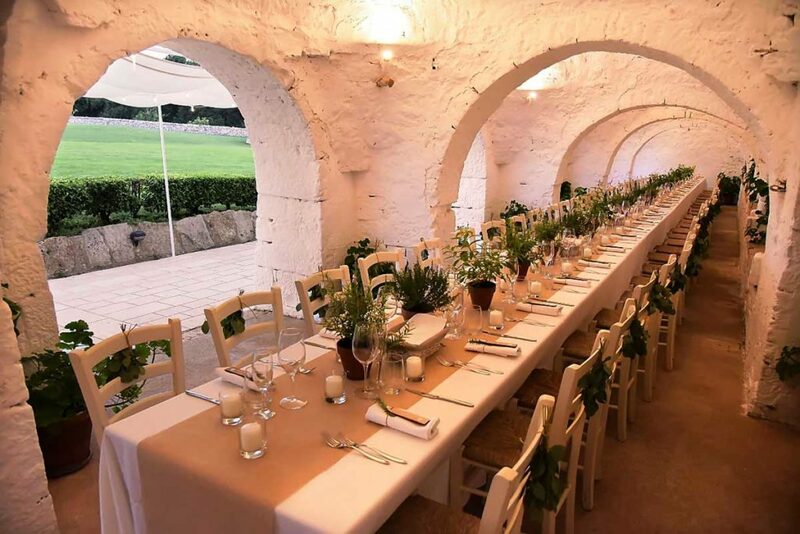 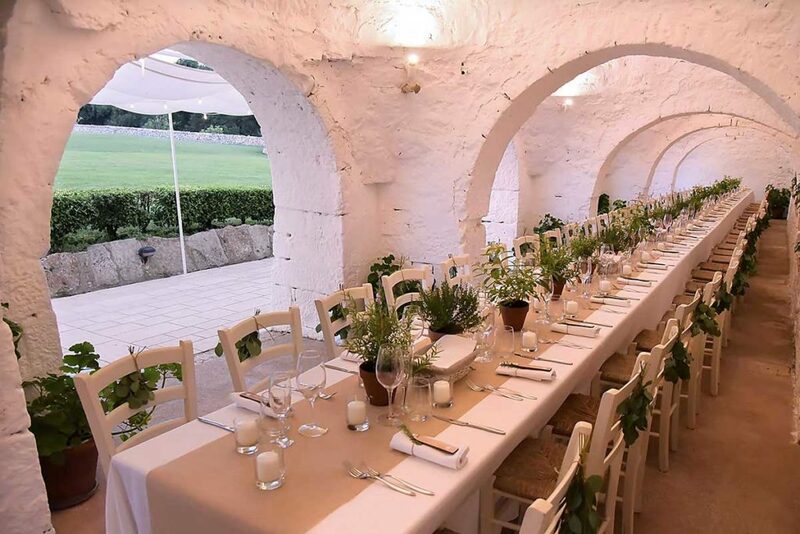 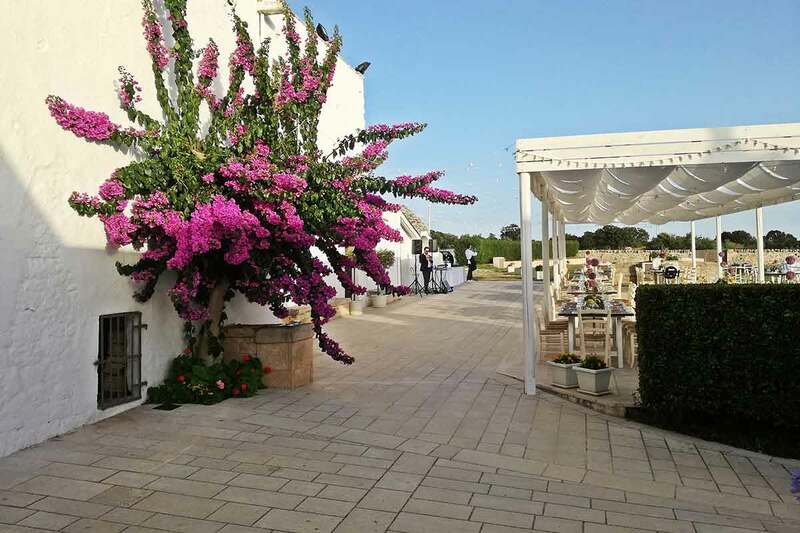 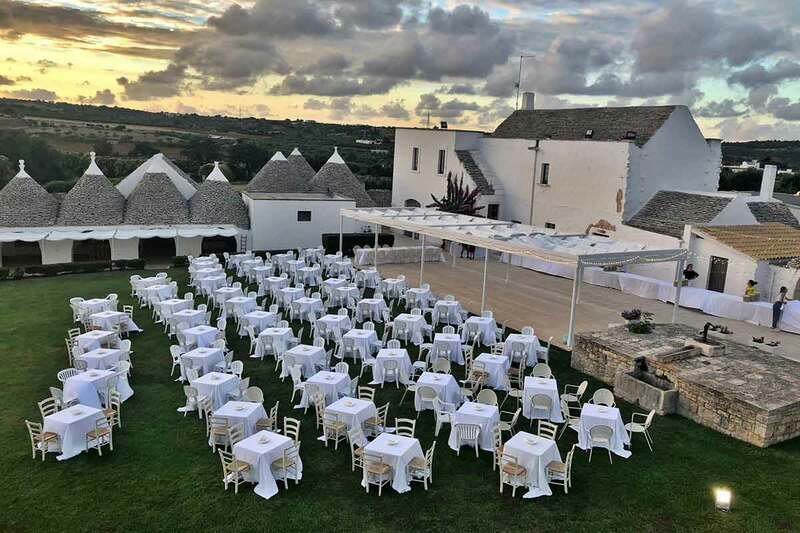 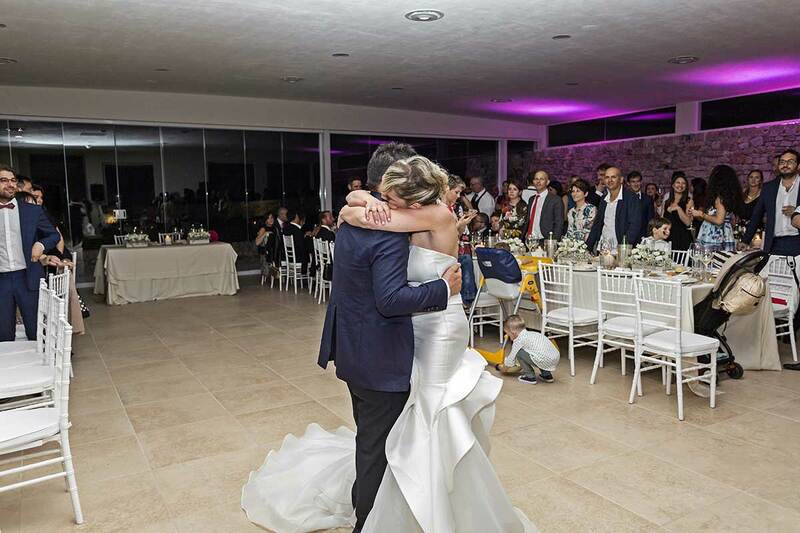 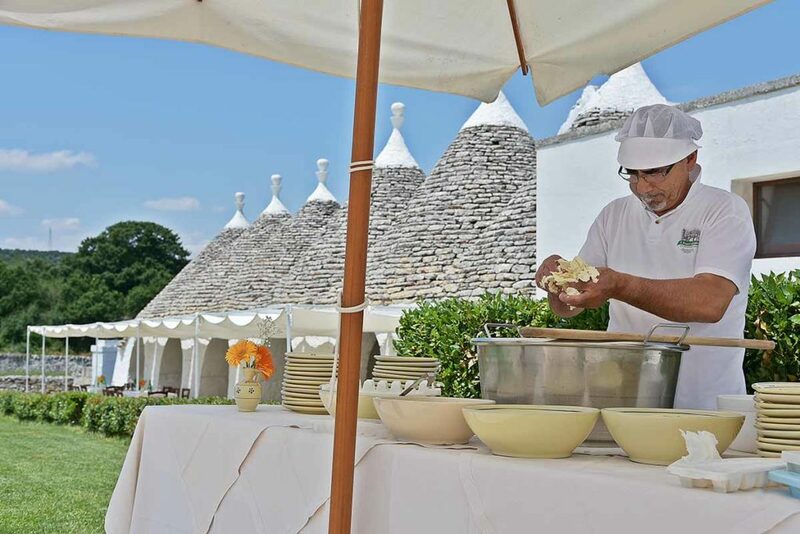 The most fascinating places on the masseria will be the background to some of your most important wedding moments such as the cake cutting and the music and entertainment interludes. 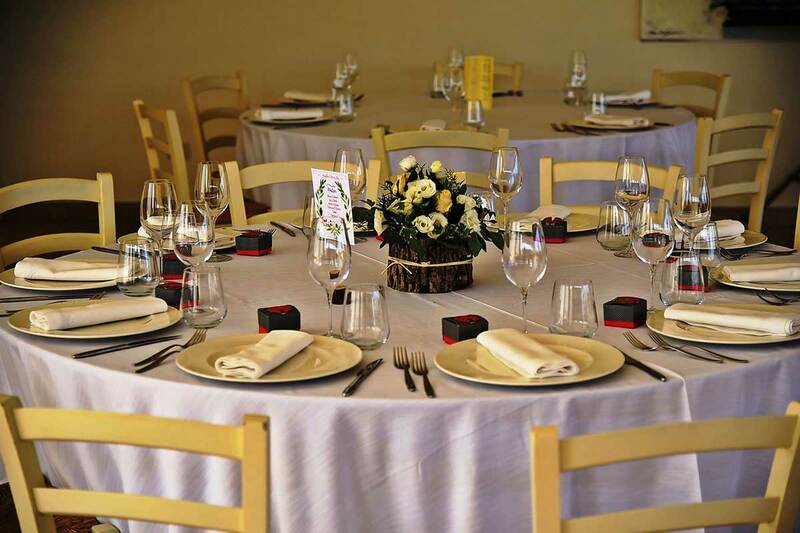 Our restaurant will be at your disposal to arrange a menu in line with your tastes and dietary needs. We want the day of your wedding to be just like you have always dreamed and for this reason we meet your every needs to give you a personalized and tailor-made wedding.